Low volume stock rally is unsustainable. So far everyone has a question where is the volume and stock market is still rallying up ? The market index is a result of a combination of momentum and volume. Momentum is created by the level of buying or selling activity. Volume shows how many people are involved in the buying or selling. Momentum is the speed and volume is the fuel that sustains the speed. Forty-year US market veteran and analyst Joe Granville captured these relationships in his technical indicator On Balance Volume, which he created to track the United States market in 1960. For this indicator the volume from today's trading with a higher close is compared with the volume from the previous day. If it is higher, the difference is added to the cumulative 50 day moving average volume figure. If the close is lower than the previous day, the difference in volume is calculated and subtracted from the cumulative total. 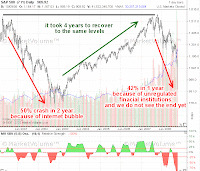 This indicator remains a valuable analysis tool and it has been generating some alarming recent signals with Granville calling a 4,000 point fall in the Dow in 2012. These are divergence signals where the market makes a new high, but the volume is lower. The rise in the Dow has been impressive in January, adding around 9 percent in the most recent rally. It appears the market has shrugged off the problems in Europe. The volume behavior - an indication of the number of participants in the market - suggests this upward momentum is not sustainable. The current trading volume is the lowest since 2008. The 50-day average of trading volume in the market has been falling steadily from the mid-2011 peak of 9,500 million to a current low of around 6,700 million. This decline in trading volume has continued even though the market has been moving higher since the Dow index October 2011 low near 10400. 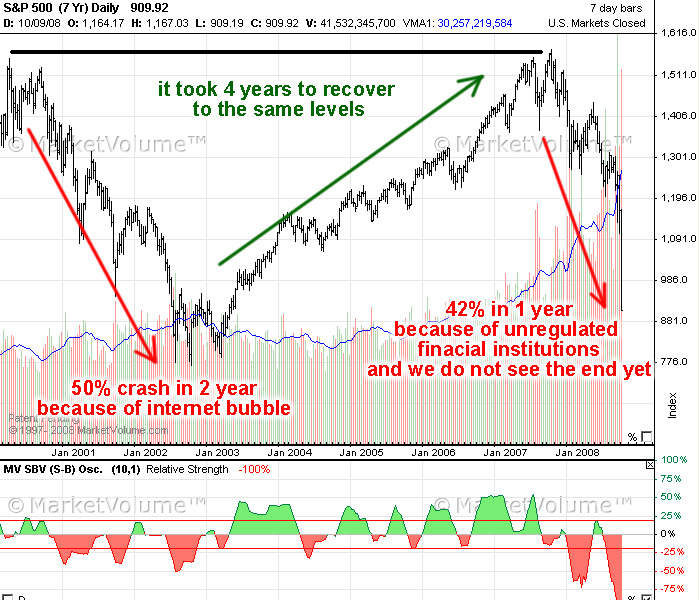 This suggests the current upward momentum is unsustainable because there are not enough new buyers entering the market. The rise is unsustainable without new money entering the market. The On Balance Volume is falling and this is often associated with a collapse of momentum and an upward trend reversal. It is money, not savings, that drives the market. When people choose to save they go to cash, keeping money in the bank. They do not take on risk by investing in the market or in business. In 2011, savings accounts in the US attracted around eight times more than the money allocated to the stock, bond and mutual fund markets combined. Around $889 billion went into savings accounts compared with $109 billion that was invested in the market. This disparity is reflected in the low volume of trading and the low readings on Granville's On Balance Volume indicator. This pace of savings accelerated in the September to November 2011 period to nearly 13 times the average monthly savings flow in January to August 2011. The acceleration in savings happened as the Dow rallied. Usually it's the reverse, with money rushing into the market when it rises. It is this contradiction in behavior that is sounding some cautionary notes about the sustainability of the Dow rise. This combination of fundamental factors and technical analysis suggests the Dow index rally is unsustainable and weak. It confirms a lack of confidence among investors. The continued rise, or fall, in US markets will be determined by what happens in Athens and Berlin because this underpins market confidence. Europe appears to be unable to help itself, with confusion rather than co-operation being the dominant policy. Some analysts suggest Wall Street may still have $1 trillion or more in exposure to European problems so failure to fix the eurozone has a negative flow-on effect for the US. With $1.5 trillion of debt equal to 100 percent of gross domestic product, and 14 percent of its population relying on food stamps, the US economy does not substantiate the market rally. Market confidence is confirmed when the pace of savings slows and the rate of participation in the market increases. Until this confidence returns this is a market for traders, not investors because the market is swinging wildly in response to short term news out of Europe.